We knew that there was going to be plenty of action and drama in the Final Four and there was something for everyone at the start of the big weekend at March Madness. If you have seen your March Madness betting hopes fall away or you are still in with a chance of winning big, there is only one game left to get through. This was a game that everyone in the world of basketball was looking forward to and it managed to live up to all of the pre-game hype and billing. The hopes and dreams of a 40-0 perfect season now lie in tatters and even though a 38-1 record is still hugely impressive, it will mean very little for Kentucky at this point in time. Wisconsin may only have a 36-3 record but it is them who are taking part in the Championship game on Monday and it has to be said that they were worth their win. The only double-double in the game came from Frank Kaminsky who hailed from the winning team. The player, affectionately known as The Tank, served up 20 points while also offering 11 rebounds. Kaminsky also managed to provide 2 assists and 2 blocks, making him the big player on a big day. Wisconsin ended up cruising to victory with a 7-1 run that took place in the final 25 seconds of the game. While Kaminsky was the only player to grab a double-double, he wasn’t the only player to get into double figures. Sam Dekker offered up 16 points while Bronson Koenig and Nigel Hayes managed to grab 12 points each. This will be the first time that Wisconsin have made their way to the Championship game since they won the title way back in 1940/41. They have made the NCAA tournament every season under their coach Bo Ryan, 14 years, but this was only the second time that they have made it to the Final Four. However, when you take on board the fact that they made it last year, and lost, there is a great sense of improvement and who knows, maybe 2015 will be their year. The loss meant that Kentucky fell short with their dreams of a perfect season and they also fell short of avenging their loss in the Championship game last season. Duke may have been behind in the first half, but they took this as the spur they needed to move forward and in the end, they comprehensively crushed their opponents. 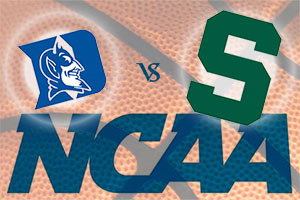 The win sees Duke move on to a 34-4 record while Michigan State slump out of the tournament with a 27-123 record. Justice Winslow was the player of the game for Duke, grabbing 19 points and 9 rebounds, impacting on the game all over the court. This is the 12th Final Four that the head coach of Duke, Mike Krzyewski has made it to, which sees him level with John Wooden, the former coach of UCLA for most appearances at the Final Four. When Michigan State raced into a 14-6 lead, he knew that he and his team would need to pull some magic out of the bag and a 30-11 scoring run before half-time ensured that Duke led by double digits for the entire second half. Michigan State gave their all, they were viewed as outsiders in this game, and Denzel Valentine can be proud of his performance. He offered up 22 points and 11 rebounds, taking away a double-double from the Final Four. 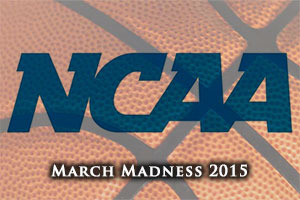 So, we move on to the Championship game where Wisconsin take on Duke for the NCAA Championship.